A Living Library (ALL) transforms public open spaces that have fallen into disuse or dilapidation into ecological wonderlands and landscapes the local community can learn in and from. Each site contains a themed, content-rich landscape, integrated with community programs and hands-on learning that establishes the sites as vital, life-long learning magnets for the whole community. Additionally contributing to each community’s development economically and culturally by improving public areas and creating these green, ecological areas as accessible community resources. To develop ecological sites that are culturally-sensitive and place-based. To transform communities by allowing them to engage in learning programs that incorporate local resources—human, ecological, economic, historic, technological, and aesthetic. To link ALL branches from different communities—near and far—so that cultural and ecological experiences and differences become shared knowledge. 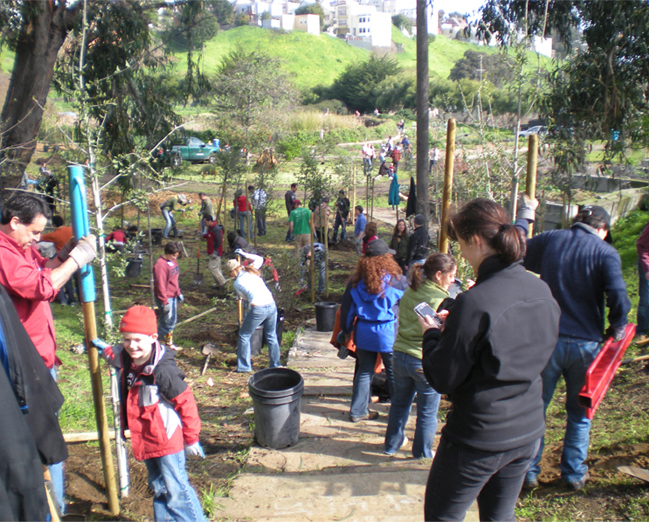 Transforms barren, under-used, or damaged public places into thriving, interactive, learning landscapes that benefit the local community. 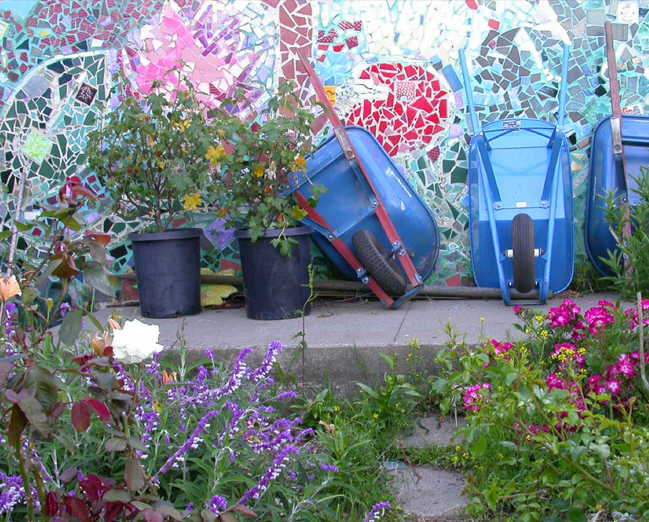 They are lush environments where people of all ages can learn new skills and understanding. An established and growing international network that allows experiences to be shared from all around the world leads us towards a greater and more peaceful understanding of our planet and each other. Bonnie Ora Sherk and the A.L.L. team, local residents and organisations, schools and students, government agencies, businesses and corporations, private foundations, etc.